Beth originally trained as a Clinical Psychologist in Australia before moving back to the UK. Her career in the mental health field spans over two decades and includes senior roles in community care services, inpatient services, substance abuse and victim support services and more recently in prisons. With a special interest in working with children and young people who have experienced early developmental trauma, she has spent the last ten years dedicated to more specialist work in residential care services with looked after children. 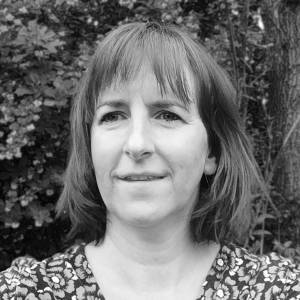 Since returning to the UK Beth has continued to specialise in working with looked after and adopted children and adolescents who have experienced developmental trauma. She values the opportunity to work therapeutically with adoptive families and special guardians from a strength-based perspective. When working with adoptive families, her therapeutic approach prioritises strengthening relationships to support growing strong and healthy attachments. Prior to the birth of her two children, Beth was a foster parent for several years while still living in Australia. Beth is particularly sensitive and mindful of the special challenges adoptive families face in parenting traumatised children. Based on her own lived experience and professional therapeutic work, she recognises that traumatised children communicate their hurt feelings in ways that are often difficult for those that care for them. Beth also values the opportunity to work with a local charity providing therapeutic support to children, young people and adults who have experienced trauma and abuse. She also provides assessment and therapeutic interventions for traumatised young people who are experiencing a high level of emotional distress with significantly complex mental health presentations. As part of this work, she is particularly interested in developing therapeutic approaches that support and sustain engagement with young people at risk of abuse and exploitation within a wider professional network of provision. Passionately committed to developing her skills and knowledge Beth has undertaken more advanced specialist post-qualification training. This includes Dyadic Developmental Psychotherapy (DDP), Eye Movement Desensitisation Reprocessing (EMDR) and Theraplay training. She is also currently undertaking Neurosequential Practitioner training at the Child Trauma Academy. Beth is a registered Clinical Psychologist with the Health Care Professions Council (HCPC).